I have been a MCoV member for at least 10 years, and purchased the pictured 71 HQ GTS-350 in 2002, whilst visiting Melbourne. The car was a complete 81837 car, but had been modified like so many over the years by various owners. 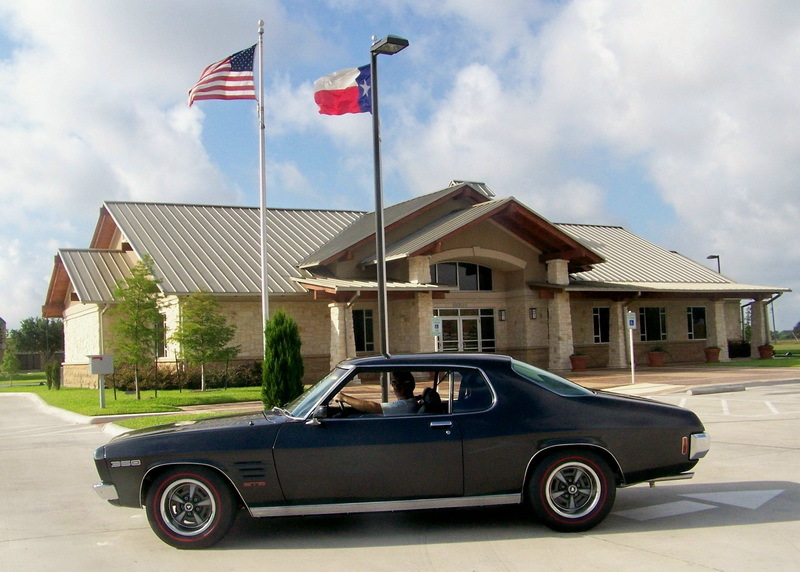 I had the car shipped back to Texas where I undertook a complete and exhaustive 5 year restoration program, to return the car back to as near stock GMH condition as possible. Sourcing some original parts was difficult and expensive, but I persevered with the process and with the help and advice of many MCoV members, the end result speaks for itself. The only non-stock items are the battery, tires and paint work. GMH documentation showed that the car was originally Salamanca red, but I decided to keep it the gun metal grey the last owner applied. I have it registered as an Antique vehicle in Texas, which costs about $35 for 5 years, and it`s exempt from a state inspection or roadworthy sticker because it is over 25 years old. Its driven regularly and reliably, and gets a lot of double takes due to the RHD. My hobby with GM cars extends beyond Holdens, and I typically restore Pontiac Firebirds, more specifically, the mid 70`s period or second generation `F’ bodied cars. I have been restoring Pontiacs for more than 30 years, and have owned more than 20. The skills that I learned in restoring these cars over the years I applied to the Monaro. I`ve trimmed the heard somewhat over the last 5 years, but still kept some favourites, in addition to adding a couple of period 80 and 90 years models. As GM dropped the Pontiac brand, a couple of years ago, they are now basically an extinct species.